An IRS audit is the most feared outcome of the tax filing process. The average taxpayer envisions an audit beginning with an IRS agent knocking on the door ready to seize assets and first-born children. 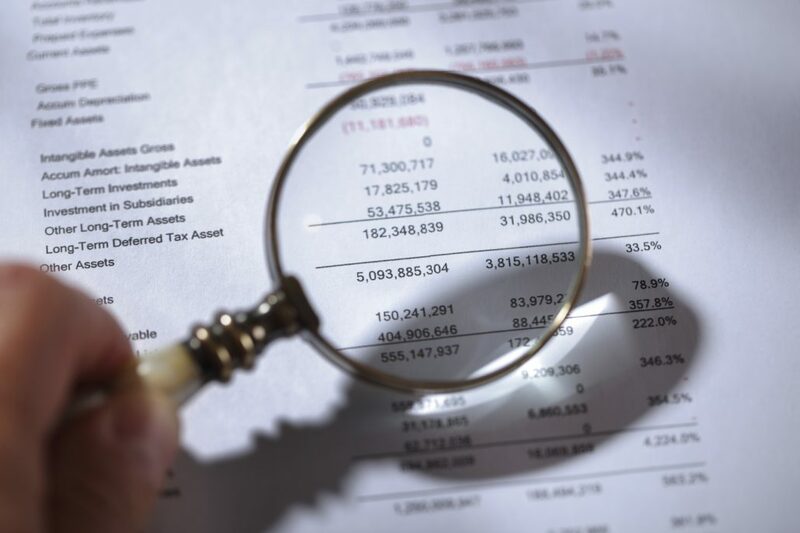 Historically, only about 1% of filers are audited. There are no automatic triggers for an audit, so not taking deductions you are entitled to take for fear of an audit only increases your tax liability. You should take legitimate deductions and credits as long as you can support them with documentation. Even so, some audits are the outcome of poor planning and action by taxpayers. Although none of these “red flags” will necessarily trigger an audit, taxpayers should be aware that the IRS does scrutinize certain types of forms, deductions and/or credits closely. The IRS tends to look extra closely at taxpayers reporting businesses on Schedule C (included with your personal return) forms because there’s more room for fudging. The IRS can target small businesses, especially sole proprietors, and cash industries like pizza parlors and pawn shops with opportunities to hide income and skim profits. If you own a business, report every single bit of income you’ve received. If you’re still worried about being audited, you may even want to reorganize your business as a corporation or partnership (which means you’re not required to file a Schedule C) instead of a sole proprietorship. You have a home office. Many businesses have home offices, so the deduction is a good one. And even if your home office is legitimate, don’t go overboard. Make sure you are accurate in reporting the exact amount of space your business uses and keep the space 100% business use. You have foreign assets or income. Foreign bank accounts have been a huge focus for the IRS in recent years. In an effort to reel in taxpayers with illegal overseas accounts, the agency has launched initiatives that waive certain penalties for taxpayers who come clean. The IRS has introduced a program that gives taxpayers a reduction in penalties–and no jail time — if they fess up to any undisclosed overseas accounts for an indefinite window of time. If you haven’t disclosed overseas accounts, be sure to discuss this with your tax advisor. The agency also introduced a new form and filing requirements for reporting foreign assets. In addition to reporting any foreign bank accounts holding more than $10,000, you now also have to report any foreign assets — including pension funds and foreign stocks — totaling more than $50,000. Failing to report such assets will result in a $10,000 penalty, and any underpayments of tax on them will be subject to an additional penalty of 40% of the amount owed. Taxpayers with foreign accounts are required to file certain forms and the deadlines for filing these returns are firm. If the IRS has any hunch that you are not reporting an offshore account, you’re in serious trouble. Check with your tax advisor for more information if you have foreign accounts or foreign income. You guess on your tax return. Guessing works great for party games, but not tax returns. Before 2014, brokers were only required to provide the IRS with the date you sold a stock and how much money you earned from that investment. The IRS had to rely on taxpayers to correctly list the date they bought a stock and how much they paid on their Schedule D capital gains and losses statement. But now, the IRS is getting this additional data straight from brokers. If the information on your return doesn’t match, you’re in trouble. Be sure to locate your exact buy dates and prices. Otherwise the IRS will quickly scoop you up for an audit. Not only is guessing a bad tax strategy for investment income, it’s a terrible strategy all around. The IRS receives income reporting forms like 1099s and W2s from many sources. These forms include data about home sales, tuition paid, social security benefits and more. Your return is matched against these records and if your “best guess” doesn’t line up with the forms in the IRS computer, or if you fail to include 1099 income on your return, you could find an audit in your future. It’s great to be charitable, but don’t exaggerate the amount of money or items you’re donating. When giving small items to Goodwill or thrift stores, report the estimated resale value or thrift shop value, not the original value. And make sure you keep track of when donations are made and hold on to receipts. It also doesn’t hurt to take photos of the donated items for your records. Remember that donations by check or cash must have a bank record or written statement from the charity in order to be deducted. This is true regardless of the amount of the donation. There are special rules for donating cars, boats and airplanes. Visit IRS.gov for more information. If your charitable donations are unusually high relative to your income, the IRS is likely to give your return more scrutiny. Make charitable giving count by following the rules! You may think you’re clever for pulling a fast one on the IRS. But when the friend you entrusted with your secret snitches on you in exchange for a fat check, you’re going to be in big trouble. Blabbing to friends, even your closest pals, may cause unintended consequences. Since the IRS offers whistleblowers a reward of up to 30% of any additional tax or penalties it collects from tax cheaters, it’s not wise to let loose lips sink your ship. And with the popularity of social media, it’s now much easier to publish private information publicly. So if you did something you think was questionable, don’t post it all over Facebook. Photos of you sailing around the world on an expensive vacation when you claimed the Earned Income Credit on your tax return could set you up for big trouble if the IRS ever questions your return. IRS auditors check social media to get a look at you and your habits. Many times a friend may not understand your tax situation and think you are cheating when you are only taking advantage of generous provisions in the tax code (like accelerated depreciation or education credits). Even though you may be able to defend your position, an audit is still painful and expensive, so keep your tax situation between you and your tax advisor. You can do away with those red flags. Audit are costly, nerve-wracking and most of time, unnecessary. With the exception of random and research audits, you can avoid many of the mistakes that lead to IRS examination. Respect for the tax preparation process, good communication with your tax advisor, sound documentation, retaining records, and planning ahead will go a long way towards eliminating the red flags.